Friendship Hospital for Animals provides high-quality, compassionate care to the cats and dogs of the Washington DC metro area. They have been accredited by the American Animal Hospital Association (AAHA) for more than 50 years. To best meet the needs of their clients and patients, they are open 24 hours a day all year long. DogCentric’s owner Sheila has taken her cats and dogs to Friendship for more than 20 years and raves about the wonderful care, compassion and quality service her “babies” have received there over the years. Urban Canine promotes positive, reward-based training that enhances the bond between you and your pet and provides you with the tools to build a more joyful and satisfying relationship. The clear emphasis on positive reinforcement gives dogs the freedom and confidence to think, learn, and experiment throughout the training process. 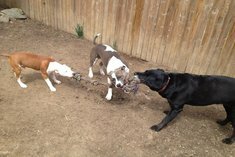 Urban Canine provides dog training and behavioral help to clients in lower Montgomery County and parts of NW DC. Urban Canine is owned and operated by Jessica Lamb, DogCentric's very own General Manager. Thei r company name is Good Dog DC because they truly believe that inside every dog is a Good Dog! They want you and your dog to have the very best relationship possible. A relationship centered on love, trust, and respect. They will carefully guide you and your dog step-by-step through their exclusive training process that will help develop a dog who loves you and listens to you. They provide dog training private sessions and group classes as well as behavioral help to clients in Washington, DC and some parts of Maryland. Good Dog DC is owned and operated by Michelle Yue, a former DogCentric client, and their facility is in Kensington, Maryland. FidoJournalism provides pet photography featuring creative and candid portraits to pet lovers in Washington DC, Maryland and Virginia. FidoJournalism was born from owner Stephen’s passions for photography and pets. The name FidoJournalism is of course a play on the word “photojournalism,” and reflects his style. Stephen’s primary goal is to tell a story about your pet through his images. His style is natural and candid to capture your pets true personalities. Contact Stephen at info@fidojournalism.com to capture your pet’s personality in photos! 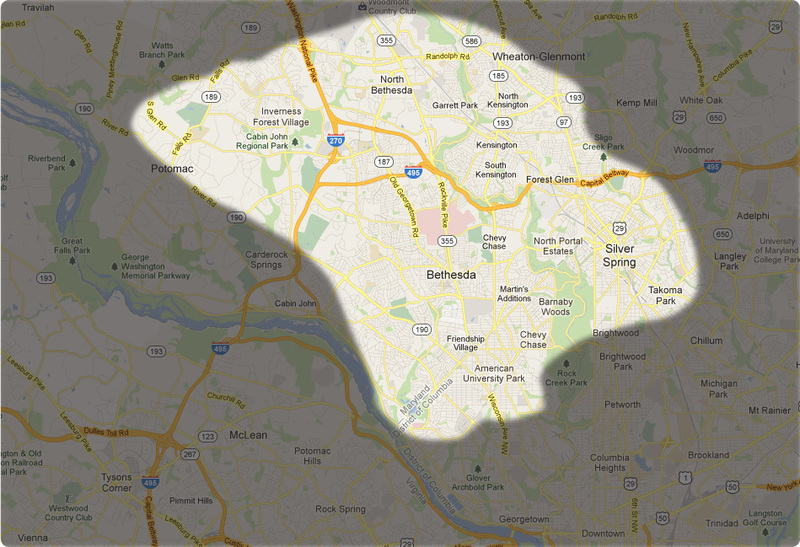 Rock Creek Home Veterinary Care is a house-call veterinary practice in the DC metropolitan area. Dr. Daphne Tanouye and Dr. Jacqui Mason strive to provide thorough, high quality veterinary medical care through all stages of a pet's life. Services include wellness exams, sick-pet visits, and gentle, peaceful, and private at-home euthanasia. Doctors also administer vaccinations, perform bloodwork and urinalysis, complete International Health Certificates, and provide blood-pressure monitoring, all in the comfort and convenience of your home. Five Elements Veterinary Care is a house-call based, complementary veterinary medicine practice serving the DC Metro area. Dr. Meagan Duffy provides compassionate, personalized Traditional Chinese Veterinary Medicine treatment to your beloved companion in the comfort of your home. Dr. Duffy is certified in veterinary acupuncture (CVA), as well as Tui-Na, or Chinese medical massage (CVTP) by the Chi Institute of Chinese Medicine, and is continuing studies in herbal therapy.